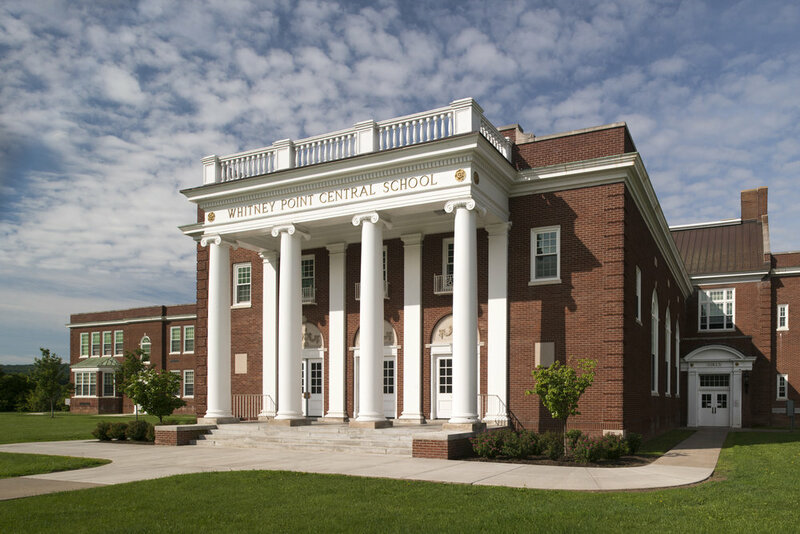 Sustainability was the key goal in designing the 32,000 square foot addition to the historic Cherry Road Elementary School, located within the close-knit Westvale neighborhood of Syracuse, NY. The program consists of seven classrooms, a gymnasium, locker rooms, PE office, music room, and a teachers’ conference room. The greatest challenge was designing an addition that was modern and demonstrative of its sustainable features while being sensitive to the original building and its neighborhood. Ashley McGraw employed contextual materials like brick and wood, such as black locust which is naturally resistant to insects and decay without chemical treatment. 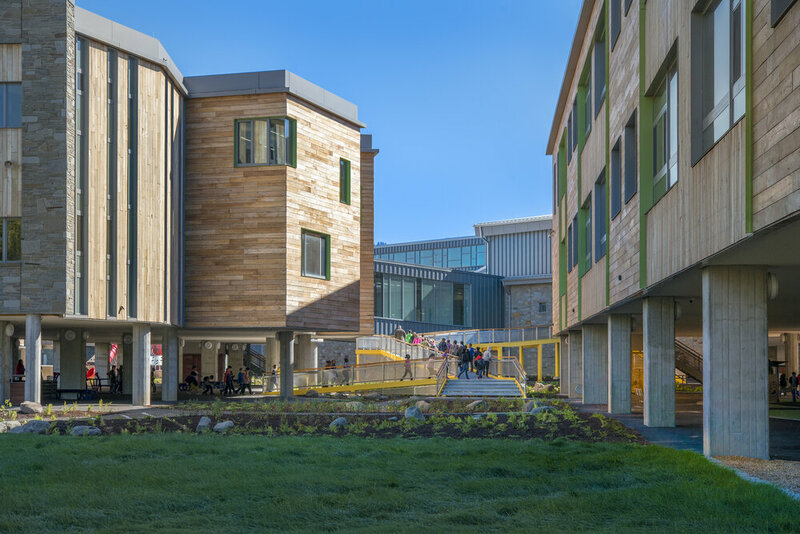 The composition of human scaled elements surrounding the volume of the gymnasium softens the impact of a larger building in a residential neighborhood. Traditional classrooms are great for instruction, but often do not provide the best environment for small group work. 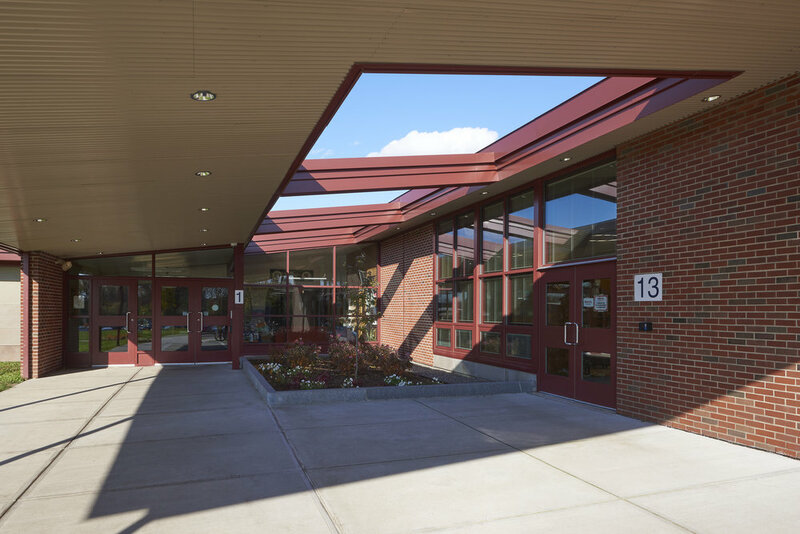 Sustainability shaped the design from the onset where the east-west orientation allowed the classrooms to take advantage of the northern daylight, while being sheltered by the gymnasium to the south. 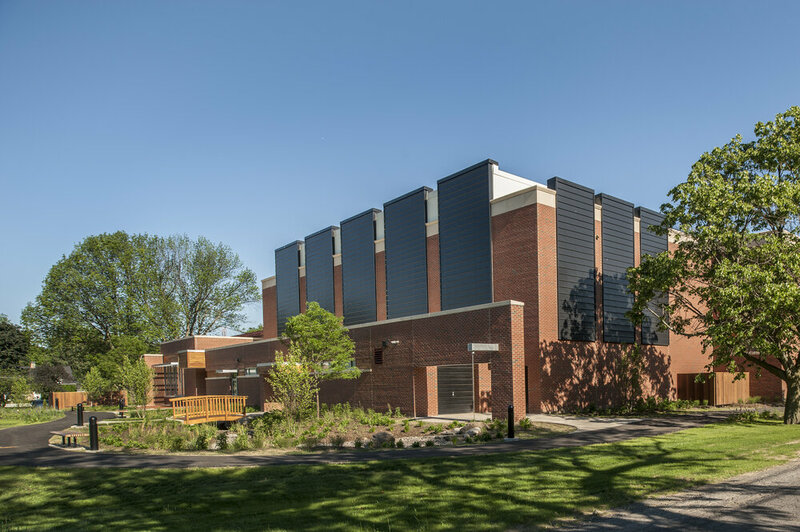 This arrangement offered a taller southern elevation required for solar pre-heat walls and the sloped clerestories daylight the gym while maximizing the orientation of the 25kW photovoltaic array on the roof. Water from lower roofs is channeled into a “rain garden”, where it collects at one end and progresses through a series of natural processes of evaporation, absorption to reduce impact on overtaxed municipal systems and nourishes an array of native plants: An educational opportunity for the students and their community. 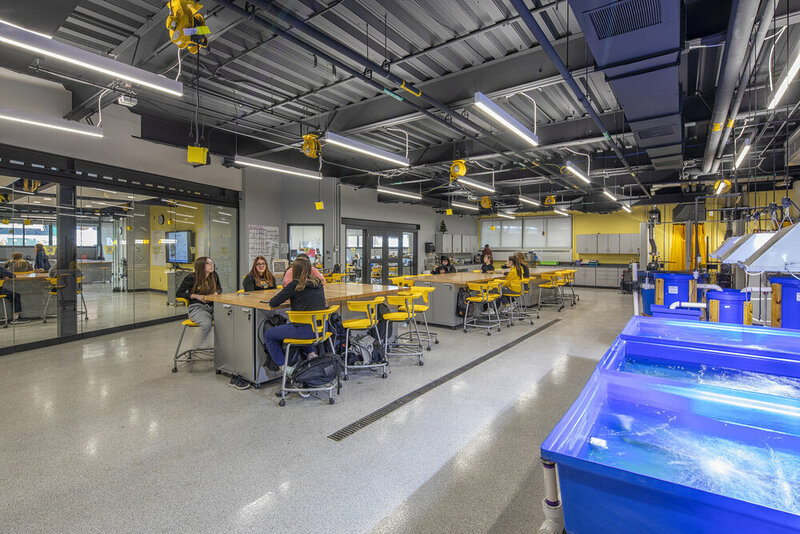 CLASSROOMS SHARE COLLABORATIVE LEARNING SPACES IN TYPICALLY IDLE AREAS OF THE LOBBY AND CORRIDORS. Inside, pairs of classrooms share collaborative learning spaces in typically idle areas such as the lobby and corridor alcoves. Corridor skylights bring light deep inside the building where is it shared with classrooms via interior windows. A dimming system adjusts the lights in response to the daylight coming into the rooms to minimize electric usage, while an interactive building “dashboard” in the lobby allows for real-time tracking of energy produced, usage trends and reduction strategies, as well as water usage. The building is certified LEED Silver by the United States Green Building Council.